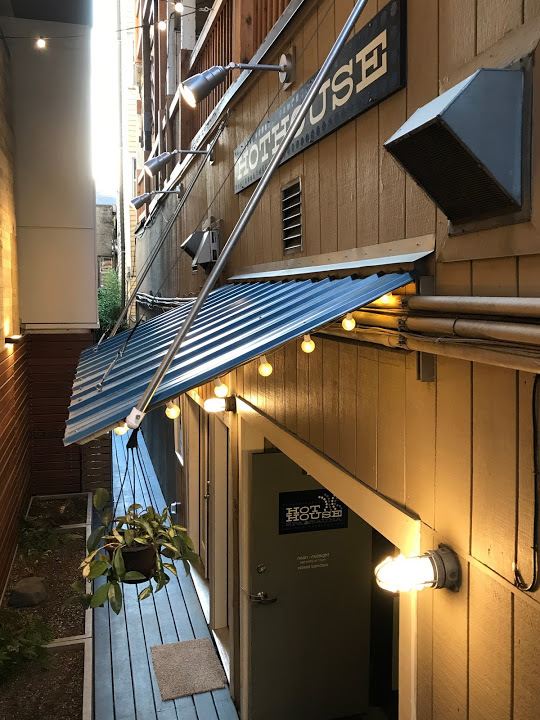 I took a very short work trip to Seattle last week (less than 24 hours) and wanted to share a few pics. The best thing about Seattle is that my dear friend Conrado, who I’ve known since the 2nd grade, lives there. That’s 35+ years of friendship. If you can do math, I just revealed my age. Ha! 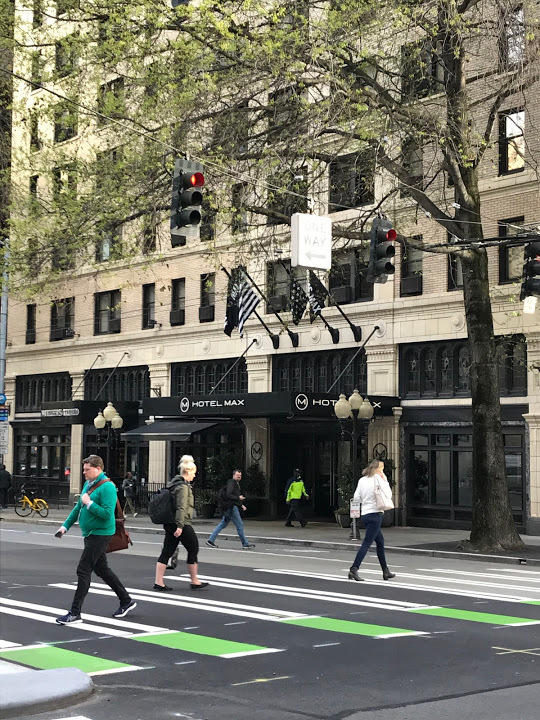 I stayed at Hotel Max which is the closest hotel to Amazon Headquarters. Branded a boutique hotel, Hotel Max was a step up from a hostel. It’s perfectly fine, but the rooms are tiny with limited amenities. I did appreciate the Starbucks right across the street. 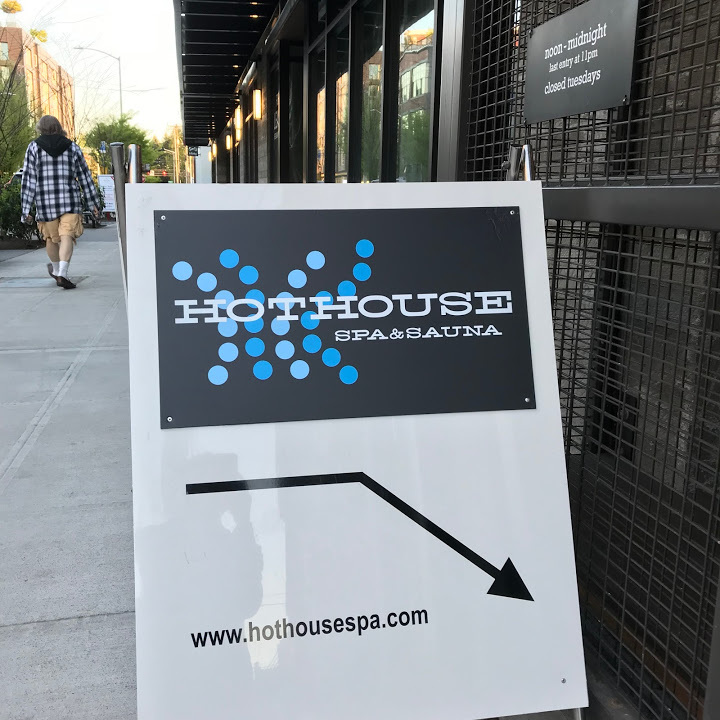 Before dinner, I did a Yelp search and spent an hour at the Hothouse, a clean, bare-bones women’s only spa and sauna. 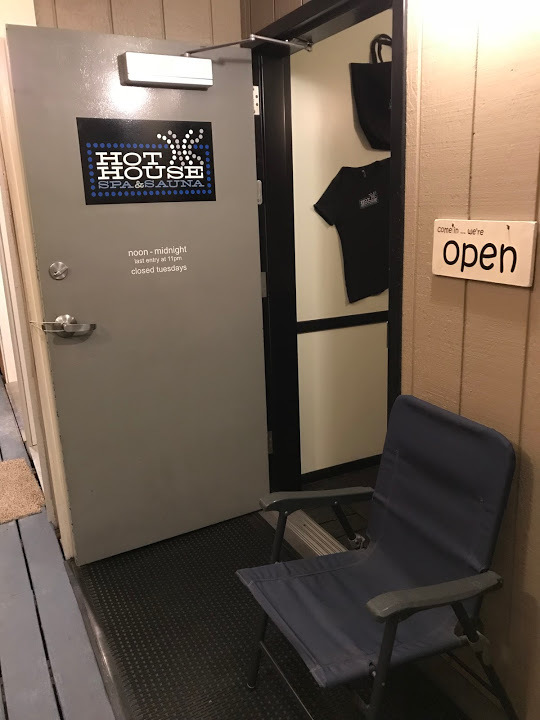 It’s $18 for the hot tub, sauna, steam room, cold plunge, relaxation area, lime-infused water and showers for as long as you like. $1 for each towel you use, or you can bring your own. Conrado met me at Purple Cafe & Wine Bar, and we proceeded to gorge on baked brie, chicken liver mousse, cheese and cured meat. I was a little hesitant on Oregon wine (Yes, I’m a California wine country snob), but the Pinot Noir I had from Willamette Valley was oh so good! Note: It’s our 25 year high school reunion in June. Pilots: Sign up now for the Grand Reunion event. 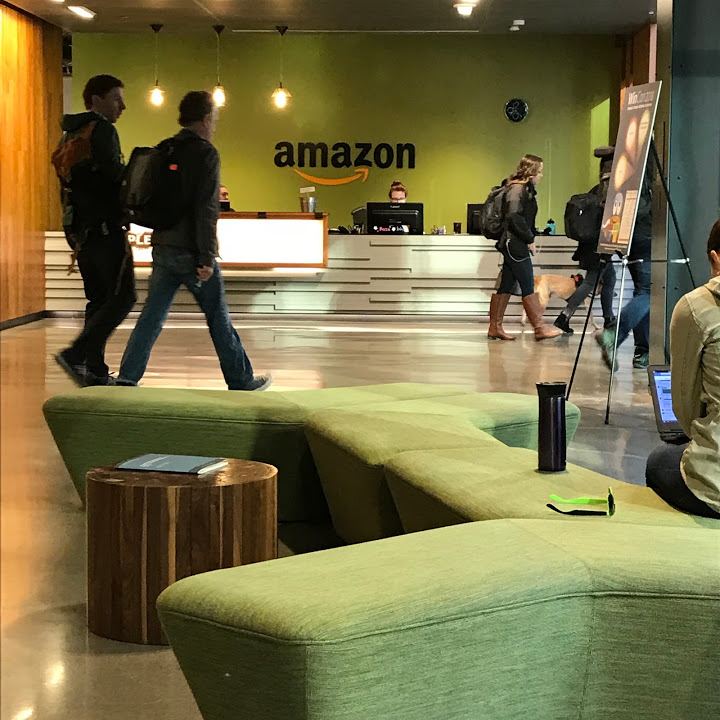 Lastly, a pic of the registration desk at Amazon headquarters where every other employee walked in with a dog. 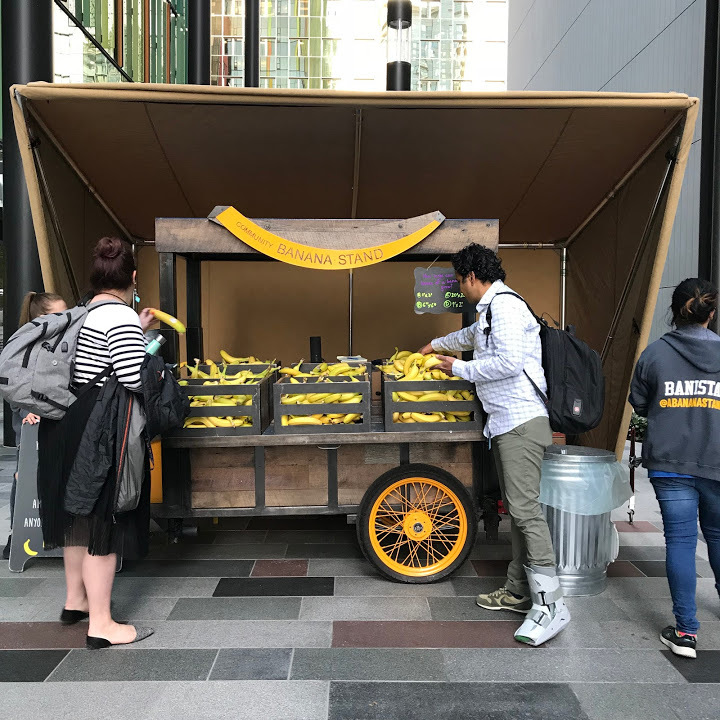 And the banana stand outside headquarters where everyone (not just Amazon employees) are encouraged to take a free banana. Very nice. 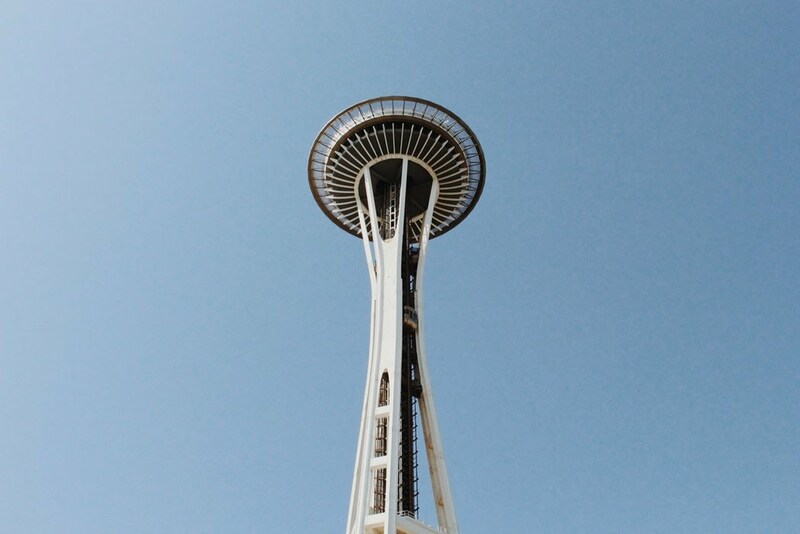 Seattle is one of my favorite cities. 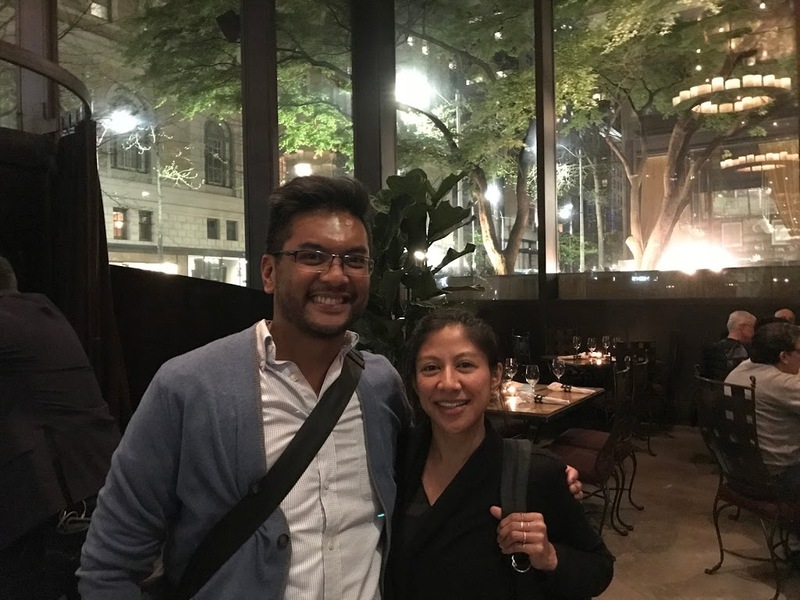 We took an Underground tour in Seattle – it was so cool! Next time we go (without teens), I’d love to sample the dining scene a bit more.